Society Meetings - More Organized, More Productive! 2. Invite attendees with agenda – all committee members, all owners, all residents, one or more groups or a selected list of members. 4. 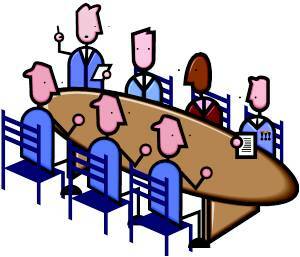 Meeting Organizers can reschedule/cancel meetings, update list of invitees, mark attendance of invitees. 5. Record/Upload and share Meeting Minutes, create action items associated with a meeting and track them to closure. 6. Members can see all the meetings they have been invited to and the ones they are organizing in different colours in a calendar view. So, go ahead invite selected friends of your community formally for that birthday party or schedule the weekly committee meetings!